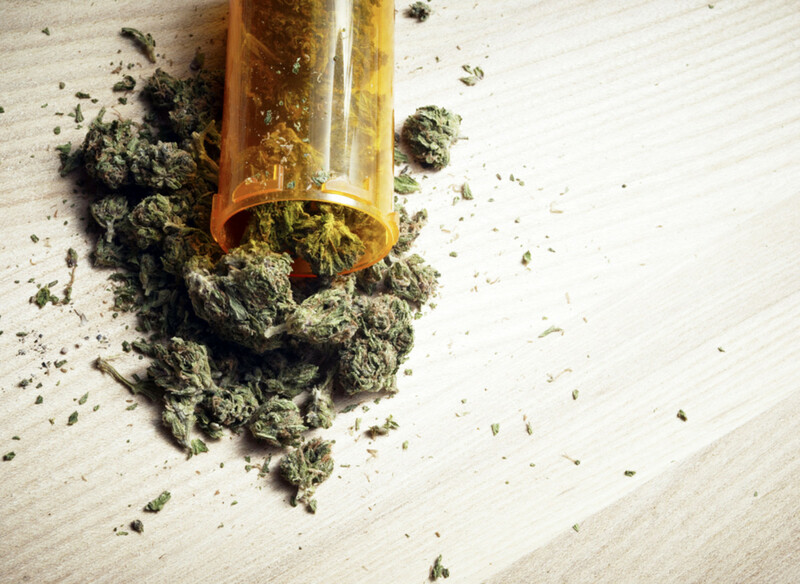 Paul Warshaw hopes that, in the near future, consumers of marijuana can turn to similar services both for their drug of choice and for the delivery food that the plant infamously causes lust for. Warshaw’s start-up, GreenRush, is attempting to become the Seamless of marijuana. Just browse the dispensaries on the website, select the appropriate strain, and set a delivery time. An iOS app is, of course, in development, so you can buy straight from your couch without even having to touch a keyboard. Officially launched last week, the San Mateo-based GreenRush is already working with several dispensaries in the San Francisco area to deliver marijuana, and the experience is eerily similar to its restaurant counterpart, down to listed delivery times (most are estimated between 45 and 60 minutes). California Wellness, for example, will get you at least $50 worth of weed flowers, pre-rolled joints, or edibles in under an hour. For a drug that remains federally illegal, the experience feels far more normal than any that have preceded it. 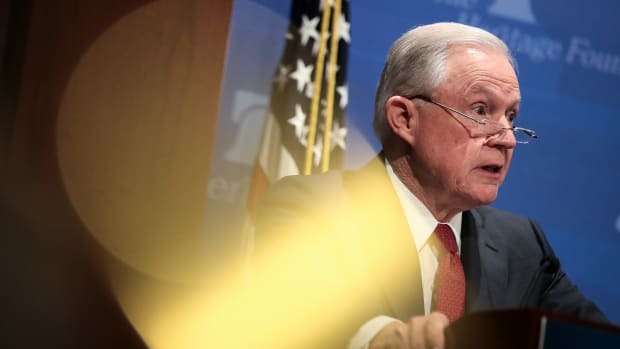 “The overall process of getting cannabis was very onerous, with everything from finding a dispensary to getting in the car and driving there to waiting in line and filling out paperwork,” Warshaw says. “We’re providing patients with as many options as we can.” GreenRush takes the weed-buying process and makes it frictionless—that tech industry term of choice suggesting a breaking down of harmful barriers—in a way not unlike how Uber has changed ordering a taxi. Except in this market, it’s drug dealers who are getting disrupted. While companies like Leafly provide Yelp-style reviews of cannabis strains and dispensaries, fewer entrepreneurs are willing to deal closely with the product itself. Marijuana was once a much-barricaded product—by law and by logistics. The drug was available, and if one had access to the right contacts, even accessible by delivery most of the day and night. But the culture of socially acceptable marijuana consumption was built on presumptions of economic class and race that meant the drug retained its divisive quality. If it’s easy and safe for you to procure weed, you’re probably already doing all right. Platforms like GreenRush are bringing this experience to anyone with a medical marijuana card. That doesn’t mean they’re breaking laws. The Web platform actually makes restrictions easier to enforce. “The patient comes on to a website and can browse without signing up. When they’re ready to order, there’s a simple verification process. They upload a driver’s license and a medical card, and within minutes we’re able to verify that they’re a patient,” Warshaw says. “Once they’re verified they can freely order from dispensaries listed on the platform.” A ring at the doorbell is only a few minutes away. It’s not just customers who are benefiting from the Silicon Valley-style normalization of the marijuana market. It’s also dispensary owners who gain the ability to be more public with their goods. “The biggest challenge is there’s not a lot of platforms or places for dispensaries to promote themselves,” Warshaw says. While companies like Leafly provide Yelp-style reviews of cannabis strains and dispensaries, fewer entrepreneurs are willing to deal closely with the product itself. “We’re staying pretty far away from the plant and money side of things,” Warshaw says. The problem is, platform businesses only work if they can scale, and it’s unclear if weed production is entirely scalable. The marijuana industry, and individual companies especially, remain small—more like the local hardware store than a massive lifestyle brand on the level of, say, Courvoisier. That’s in part because the same legal authorities that allow them to exist are doling out licenses sparingly, keeping volume low. 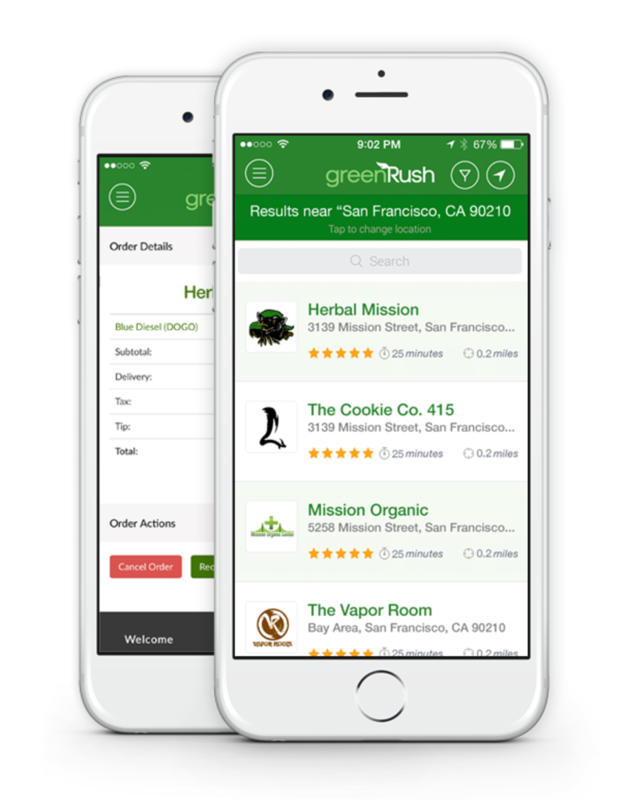 GreenRush has partnerships with around 15 dispensaries and hopes to expand quickly, the same way Uber or Seamless has. 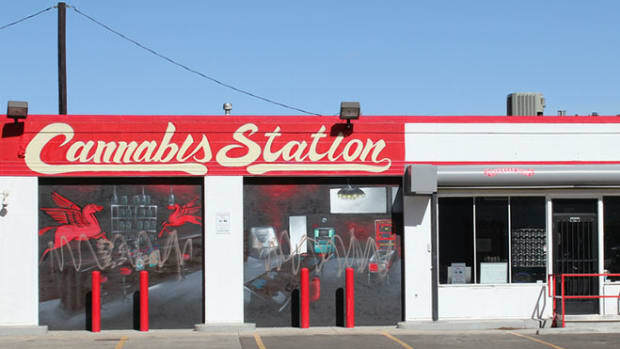 Rather than digital infrastructure, the limitation it faces is the slow pace of marijuana reform cutting down its potential markets to connect dispensaries and patients. But GreenRush’s technological product could prove addictive, even if the plant itself isn’t. Convenience, after all, is its own drug, no matter what’s getting delivered. Disruptions is Kyle Chayka’s weekly column for Pacific Standard about personal technology and the way it influences our daily lives. By bringing some Silicon Valley-style innovation to a dusty, through increasingly popular, sector, Neighborly hopes to make supporting local infrastructure projects both cool and profitable. In Northern California, where the drug laws can change with the mile markers, a supplier of medical marijuana risks going one toke over the (county) line. Where Does Amsterdam's Marijuana Come From? The Netherlands' netherworld of tolerated-but-still-illegal marijuana has its homegrown critics who argue for outright prohibition or outright legalization. While a legalized marijuana crop wouldn’t solve all of California’s agricultural woes, it might still keep the state in the green.